The Institute for Public Health Innovation recently released a report and analysis of the Richmond Food Access and Equity Task Force that can be found here. 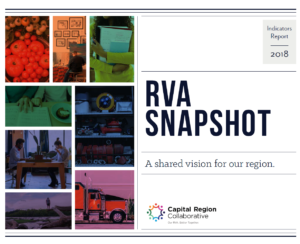 This report reviewed all programs currently in place in the Richmond region dedicated towards improving access to healthy, affordable food, and made recommendations on how improvements can be made. The Institute for Public Health Innovation also provides short and long term goals for Richmond, stressing that “Healthy food access impacts education and employment as well as health.” To learn more about their plan or how to get involved yourself, visit the full report for more. Previous ArticleSeparate and Extremely Unequal Schooling Next Article2017 James River Days Brochure Released!